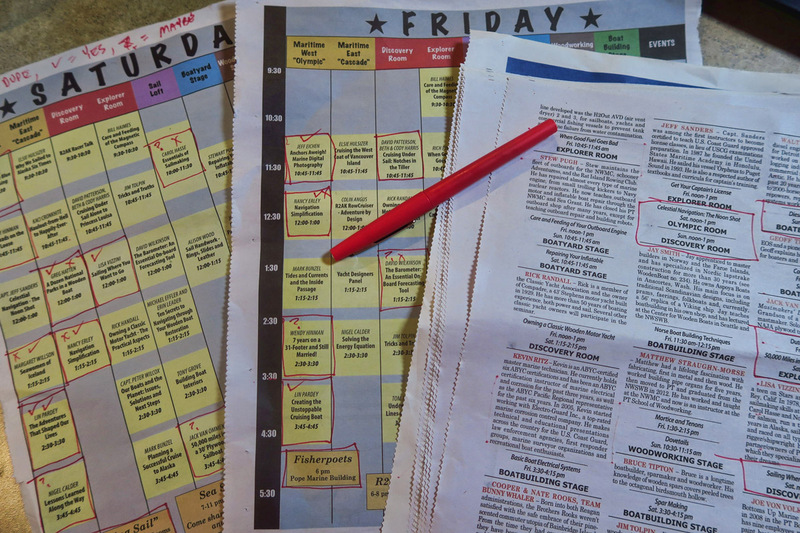 I spread out the three day seminar program from the Wooden Boat Festival to plan my weekend with low expectations. Not being exactly skilled in working with my hands, I didn’t have much interest in learning laminating techniques or tying thump mats, though some of the tech sessions like Maintenance of a Diesel Engine could have transferred over to RVing. 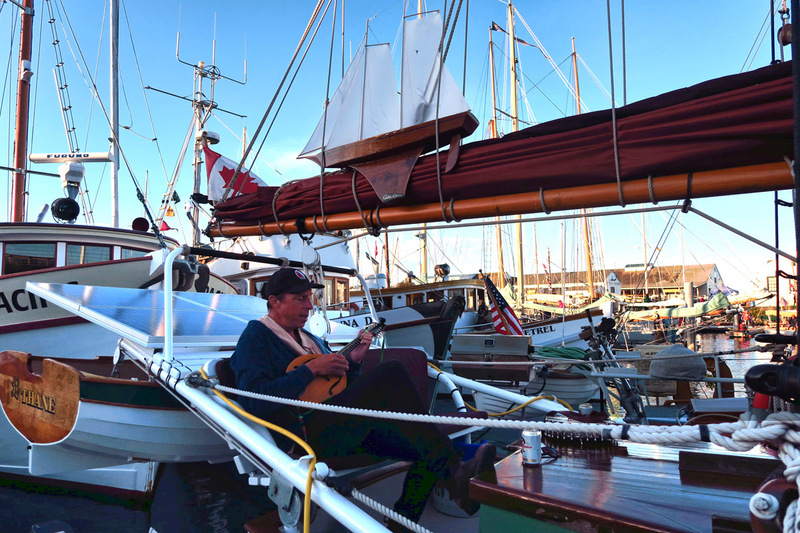 Still, I anticipated that most of my time at the festival would be spent outdoors, going from boat to boatAnd there were plenty of them, from the smallest dinghy to Jack Sparrow’s famous 67’ pirate ship. Program for the festival has a three page spread of hour by hour seminars taking place in multiple venues. 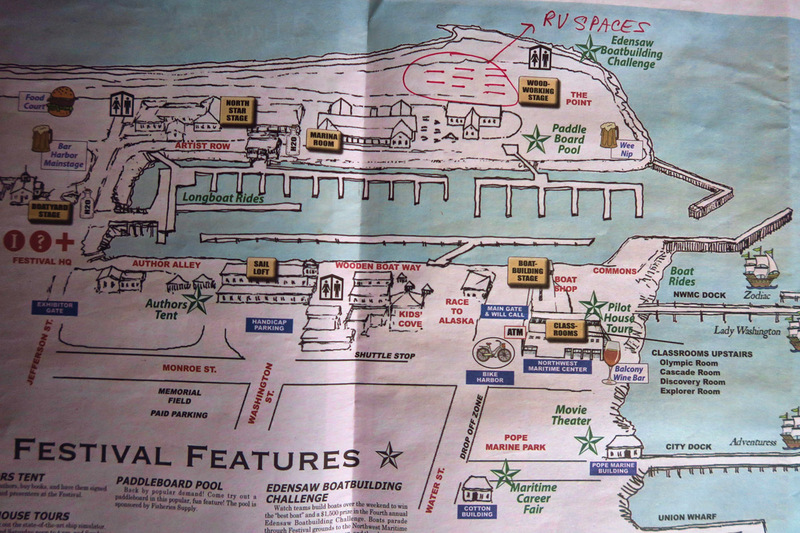 The program also shows a layout of the festival. I have noted “RV Spaces” in upper right corner where the Winnie was parked for the festival. Classrooms overlook the festival below. Note beautiful snowy Mt Baker visible on the left horizon. 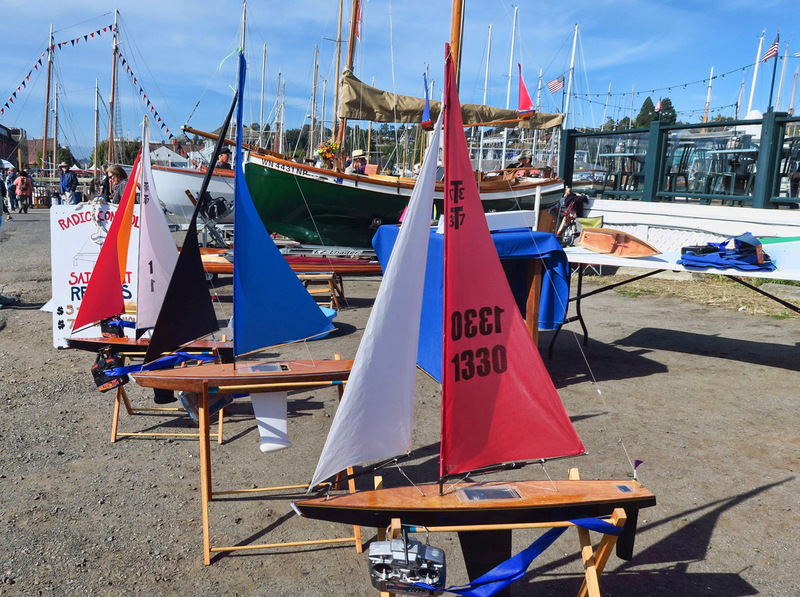 Many of the smaller boats are hauled out for display. I liked this little boaters version of the recumbent bicycle. 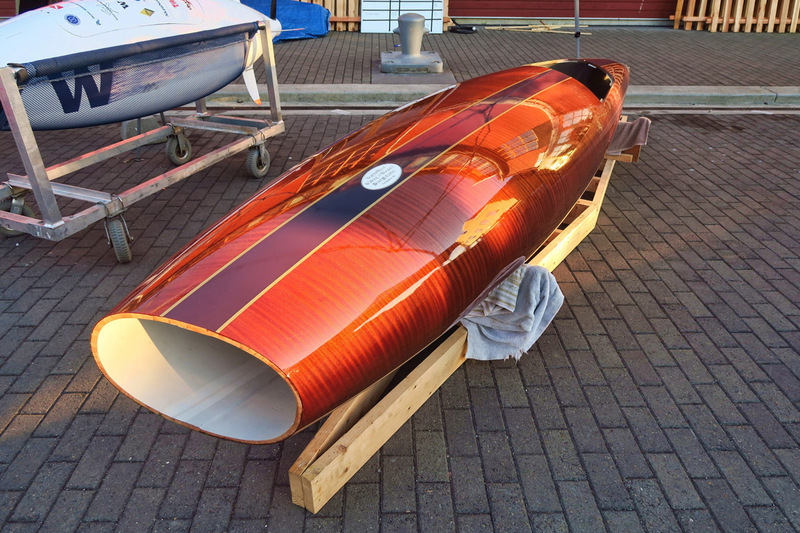 This “craft” is a human-powered submarine built for the Univ of Washington for their entry in the European International Sub Race. It was powered by a SCUBA diver. 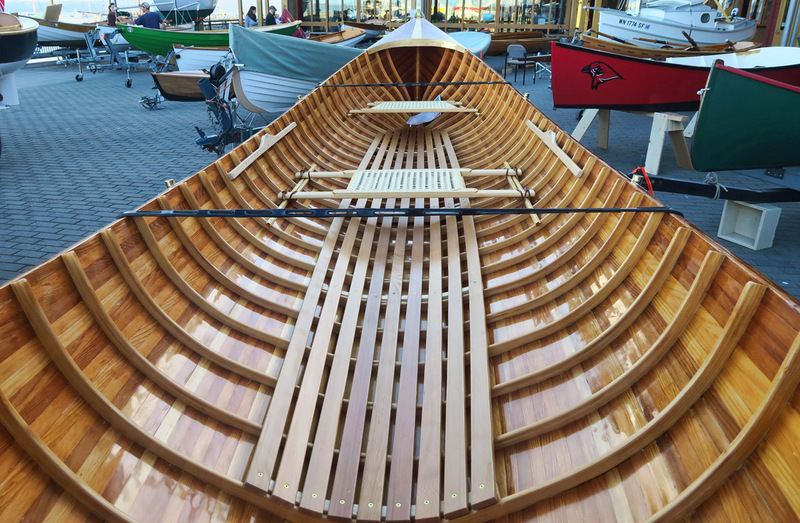 Interesting to see how they made the tapered design in strips of wood. But once I began reading the biographies of some of the speakers, my paradigm became a lot less “wooden.” The list contained authors, poets, photographers and story tellers. Adventurers and explorers, all eager to tell their tales of life on the water in a wooden boat. 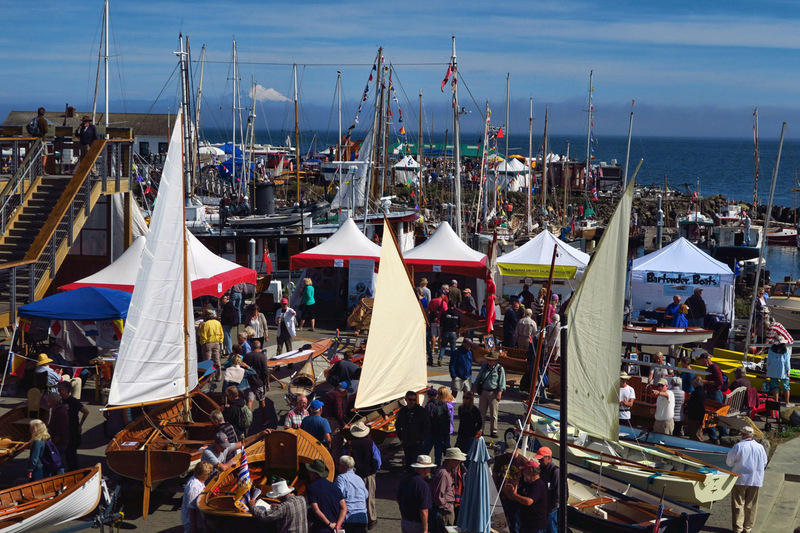 The “Who’s Who” list had a plethora of expertise, from cruising consultants for West Marine to a PBS featured couple who sailed around the globe in a 24’ wooden boat with no engine! All of a sudden, I had a renewed interest and a three day commitment. 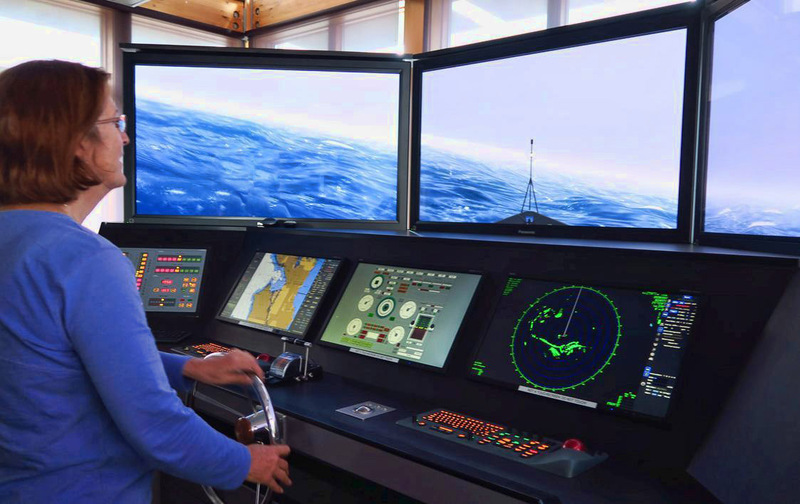 Inside the Northwest Maritime Center, there is an amazing “Pilot Simulator,” where you can steer the ship through the storm and never get your feet wet! 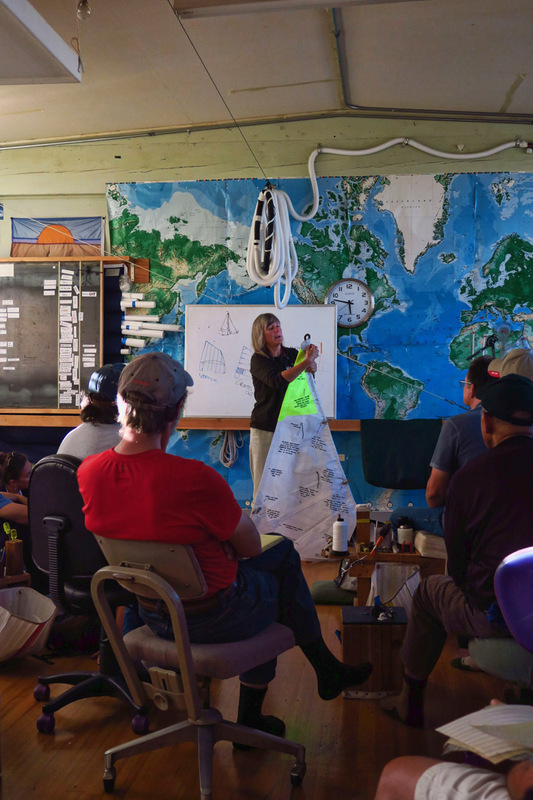 Captain Nancy Erley, who has sailed around the world twice in her 38′ boat, giving a seminar on Navigation Simplified, where she shares her favorite apps for navigation. The bonus of keeping to a one hour seminar is one must speak at a higher layman’s level. Photography tips become gentrified for the iphone audience all the way to the DSLR expert. Complicated navigation gets simplified in terms of favorite apps like Navionics, TideTrac, SailFlow and ShipFinder. And book authors must boil down to the essence of what inspired them to write the book. No long, dry presentations on charts or systems. The cream of the crop with the cream on top. The essence of the perfume. 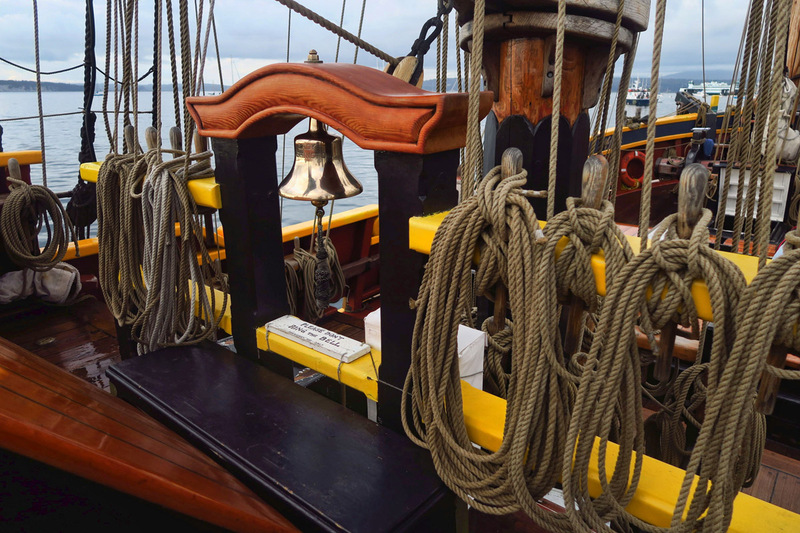 The distillation of “spirits” that make up the love and lore of sailing. 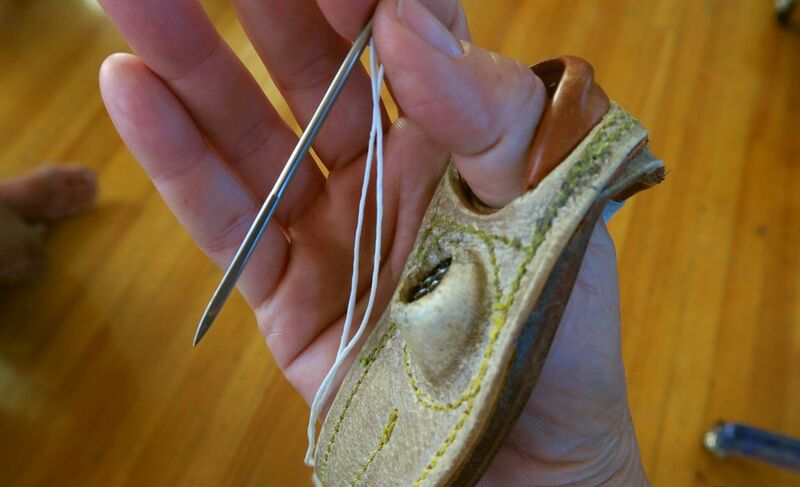 One of my favorite seminars was held in the Sail Loft, where sails are being custom made. 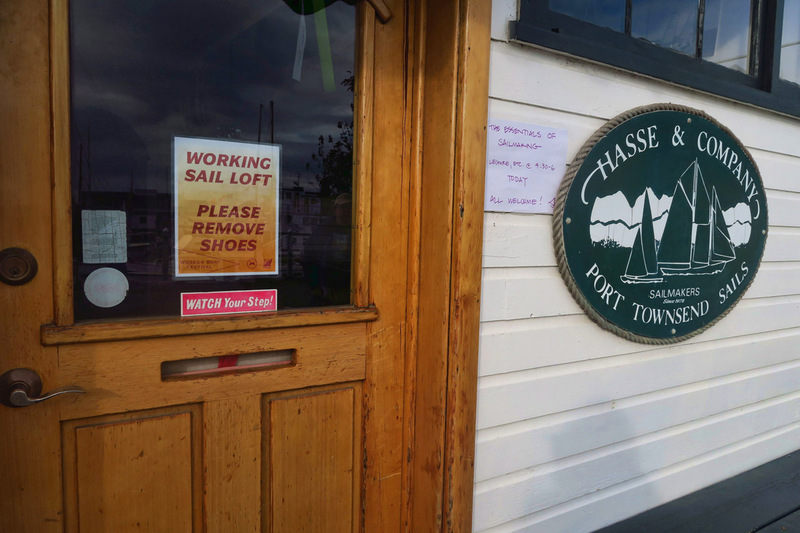 Carol Hasse, sailmaker and owner of Hasse & Company Port Townsend Sails since 1978, is world renowned for her offshore cruising sails. Here, she demonstrates what sets her sails apart from others. The tour of the Sail Loft is very impressive. 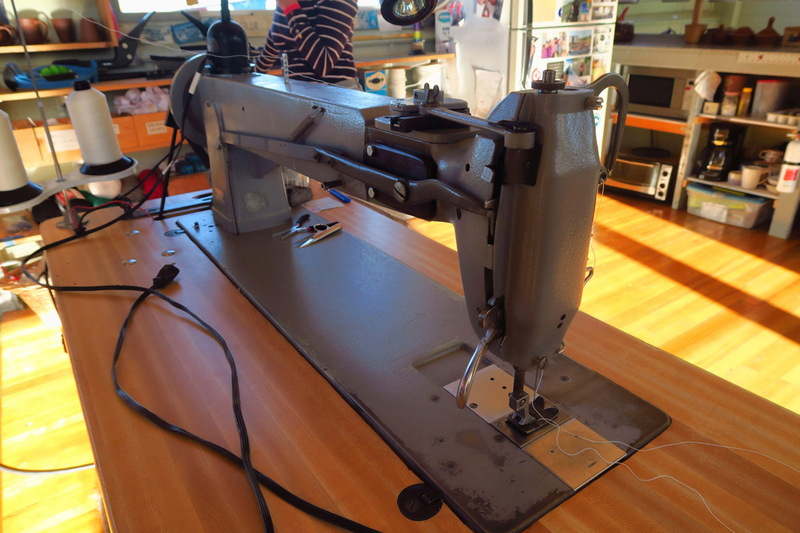 This machine is twice the size of a typical sewing machine. 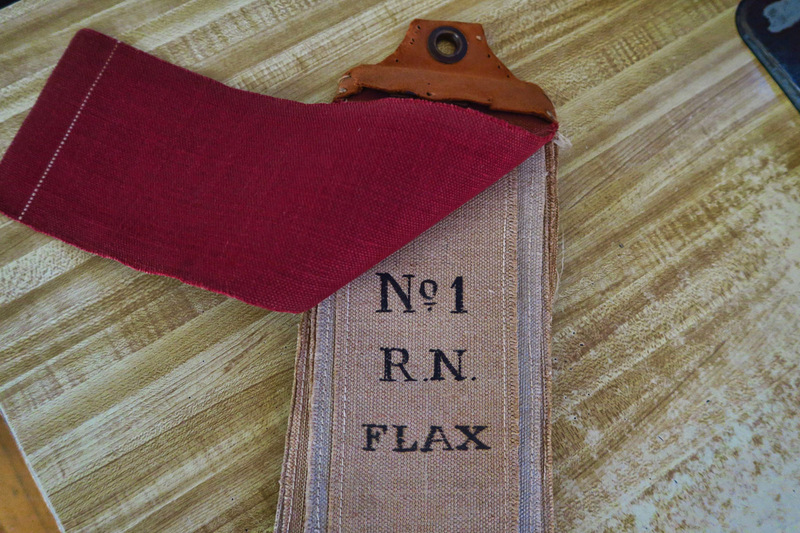 An antique….samples from the Royal Navy canvas. There are presentations on “The Unstoppable Boat”; how to keep your boat moving when all those fancy tech systems have failed. 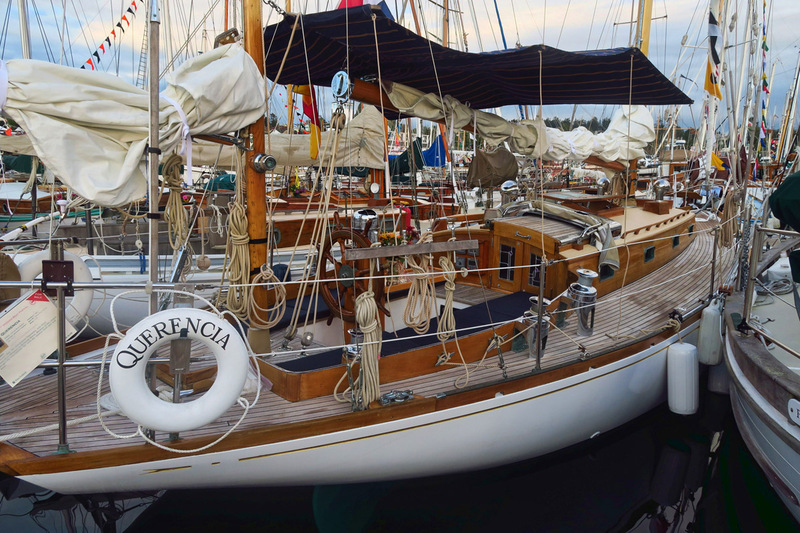 How to outfit your boat for blue water cruising (overnight passage without sight of land.) 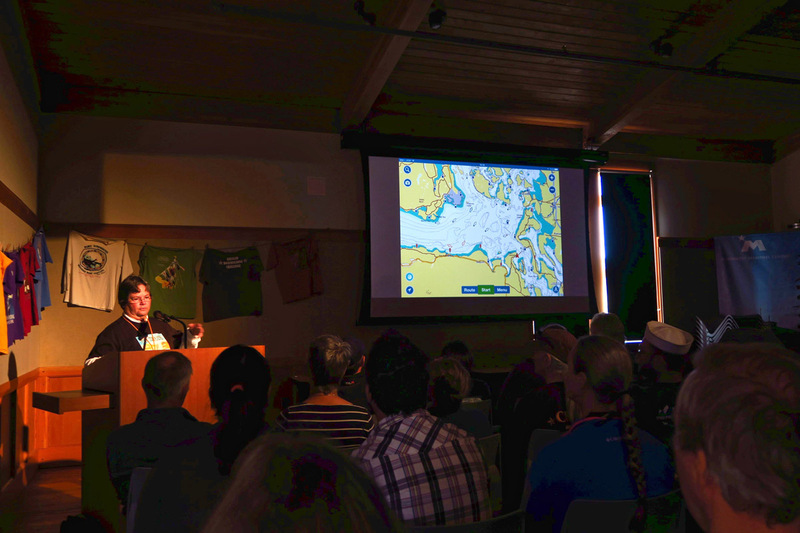 Even the NPS was represented in the presentation, “Find your Park – in a Wooden Boat,” tales of navigating the rivers of our National Parks, most notably the Colorado in the Grand Canyon in a replica of “Portola,” the wooden dory belonging to Martin Litton. Litton was a lifelong environmental activist and friend of Edward Abbey, who together lead the opposition to the Glen Canyon Dam, as well as proposed dams in the Grand Canyon. 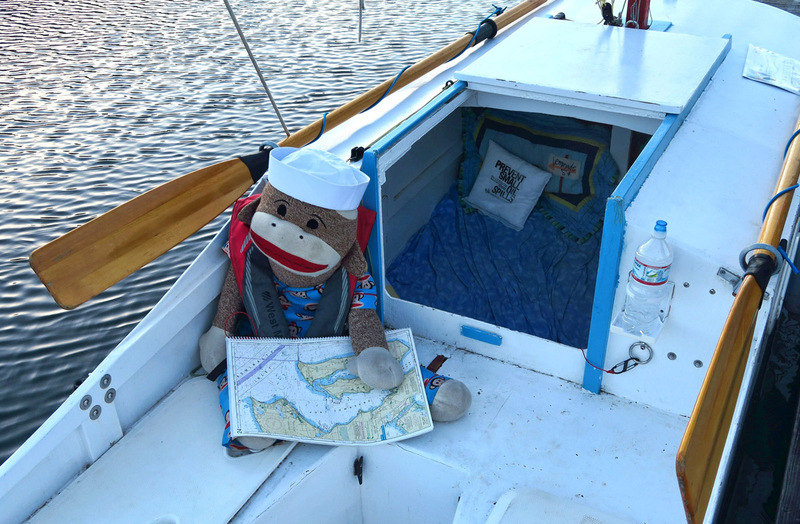 This skipper made me think of Karen of Sock Monkey Trekker blog fame. Lots of activities for kids. 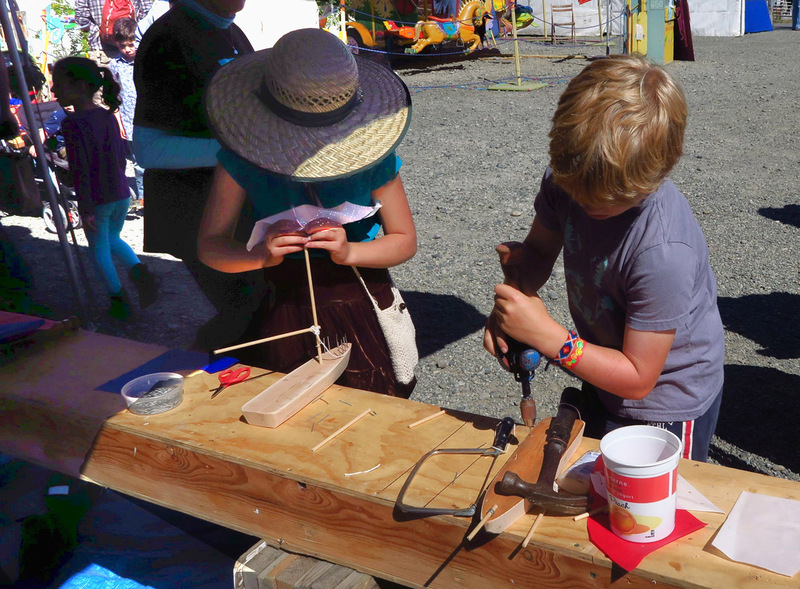 Here, they are taught how to build their own wooden boat. These boats are about all I can afford! For three straight days, there was no lack of entertainment. Up with the sun to grab “people-less” photos. Back to back seminars with lunch on the run. 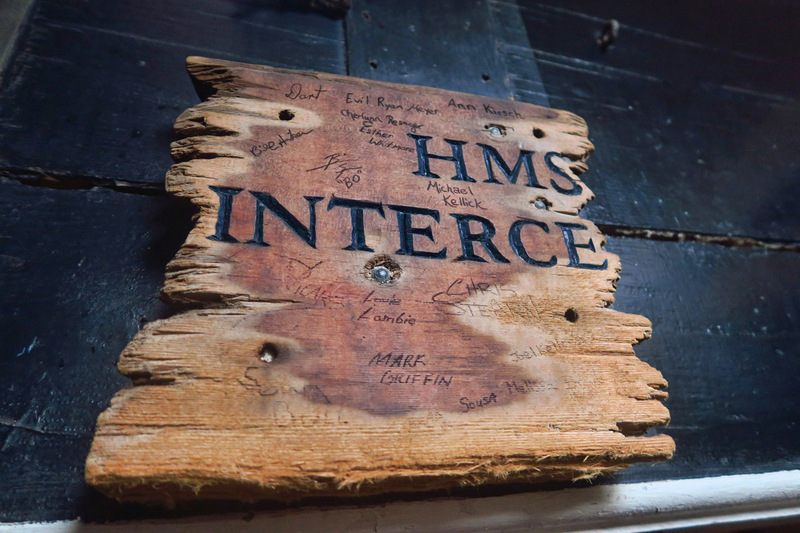 And evening entertainment from movie documentaries on wooden boatbuilding, to “Fisherpoets,” readings of poetry and tales from the sea, followed by a nightcap at the Wee Nip Merchant Saloon, located 50 ft from my Winnie door. It was an exhausting festival, and I’m not sure my feet touched the ground the entire three days! 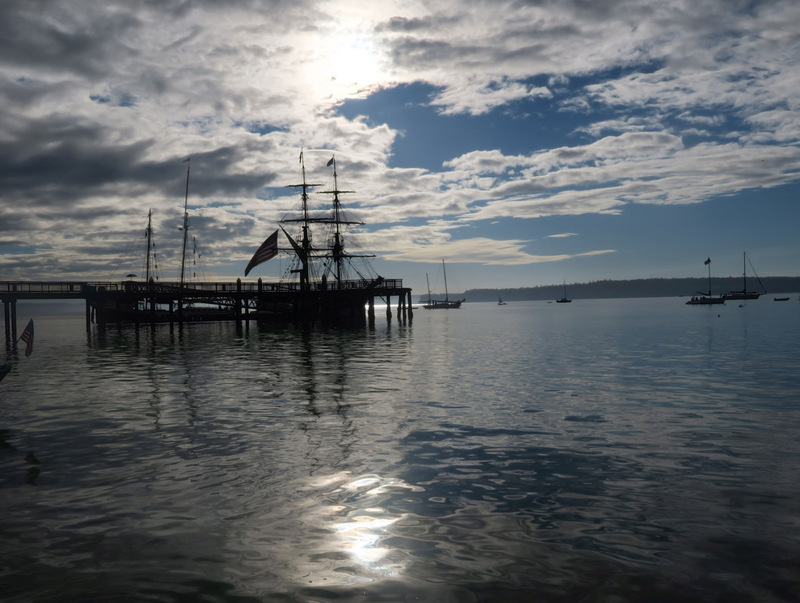 The Lady Washington starred as Pirate Jack Sparrow’s HMS Interceptor in the movie, Pirates of the Caribbean. Free tours inside the ship are offered. Banjo/Mandolin player on the stern of the boat “Thane” was quite good. 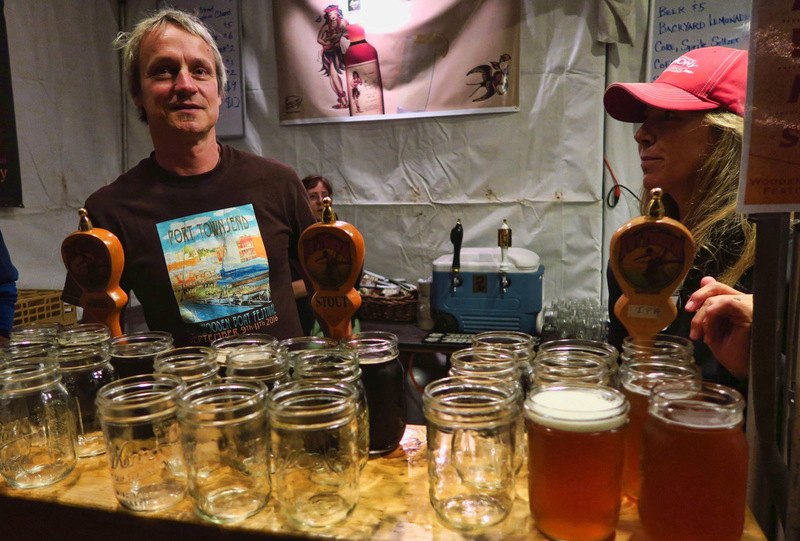 Port Townsend is “clean and green, using glass jars in their pub, thereby saving an estimated 10,000 plastic cups from the landfill. 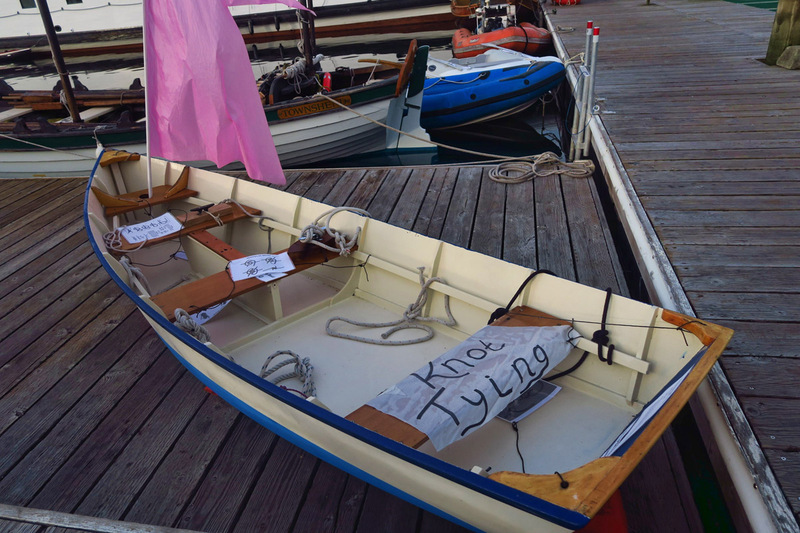 This entry was posted in Washington and tagged Northwest Maritime Center, Port Townsend Wooden Boat Festival by Suzanne. Bookmark the permalink. Beautiful photos! 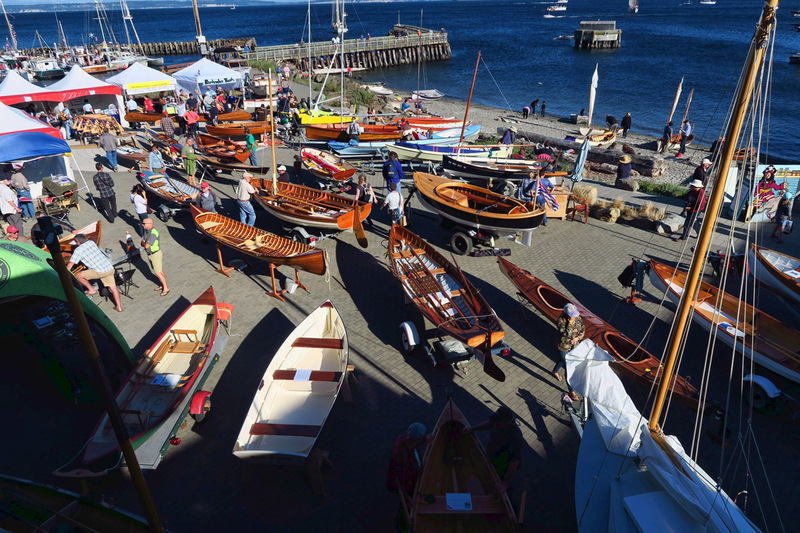 In all our years of living in Seattle we’ve never gone to the Wooden Boat Festival. You captured the beauty and spirit of it and now I want to go one of these years! Lucky you to get such a great RV camp spot too! They really shrunk down the number of RV sites since part of the festival was set up on some of the RV overnight area. Thanks, Marti — The “RV Spaces” on the map were actually my hand drawing, so they didn’t take as many as it looks. But the dry camping (where I am now) was taken for the kayaks and Wee Nip Bar, and some of the loop sites to the west were taken for the Food Court. Booking for 2017 starts on October 3rd, so you guys should go for it! It was a blast! Nice write up. Looks like lots of fun with lots to learn. I always learn so much from the detailed reports of your adventures. 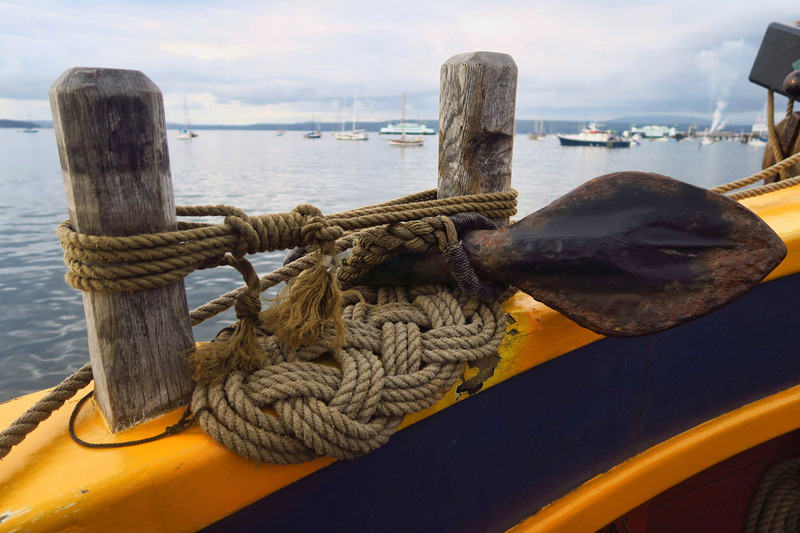 I was a passenger on a 40-foot wooden boat (a Morgan, I think) for a day’s cruise, but it was 40+ years ago, and I remember very little of it except what I can recall of the long-lost snapshots I took at the time. This was on The Great Lakes, so not in the same area where you are. Lovely to see such devotion going into these boats. I wondered if you went to Greg’s presentation. Great guy! Greg and his Portola replica were on the GC trip I did a couple years ago. I’ve rowed and seen the bottom of that boat! I’m happy it was so much fun. 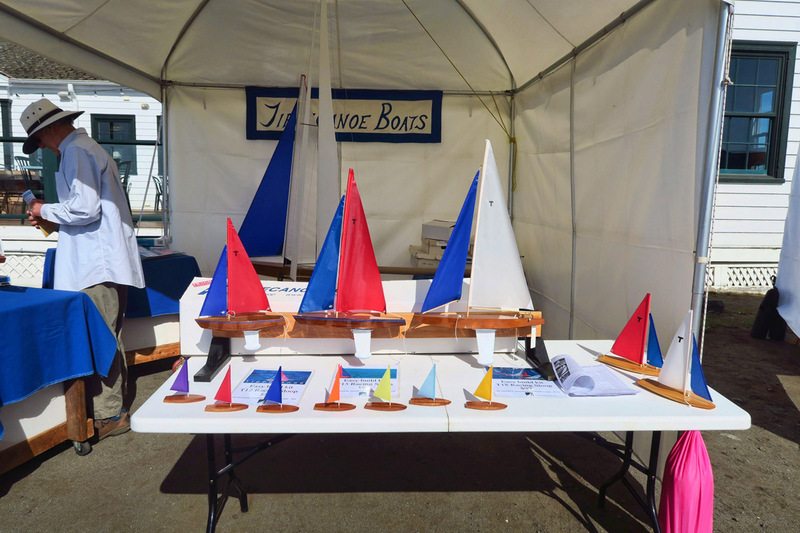 I wondered what people did at the Wooden Boat Show, and now I know. Photos and narrative were excellent, as always. I think I’ll go try shooting into the sun. Wow Suzanne, you could become a member of the Boatwrights! Thanks so much for such a detailed and well written report. 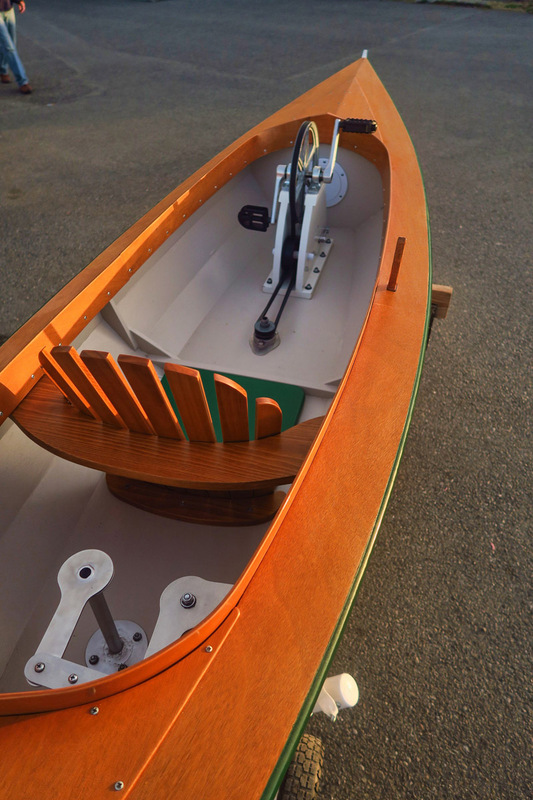 A quick read of Boys in the Boat describes a bit how the boatwright becomes one-with-the-wood. From your most excellent blog, you’re there! 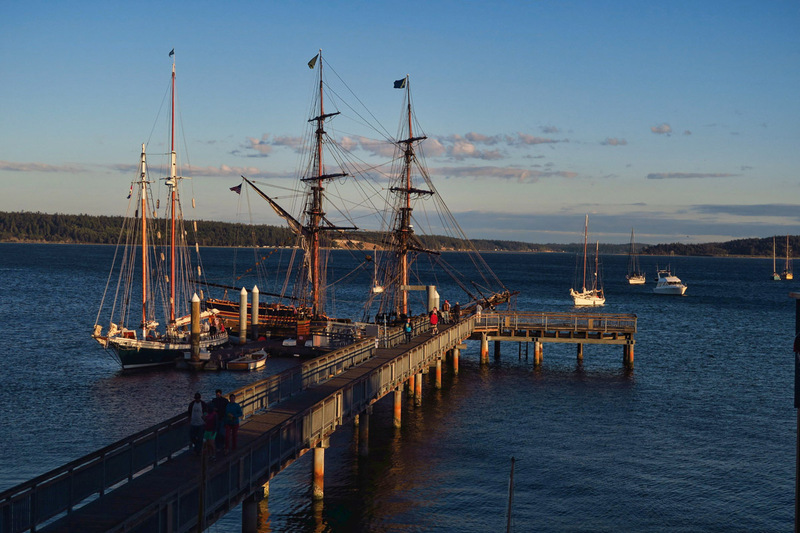 and I only thought of Port Townsend as a ferry terminal … never again! Did you attend Lin Pardey’s seminar? You and she could exchange notes about writing about life’s adventures. You look right at home at the helm of the Pilot Simulator. I’m sure you are now ready for a circumnavigation! Thanks for your great report. 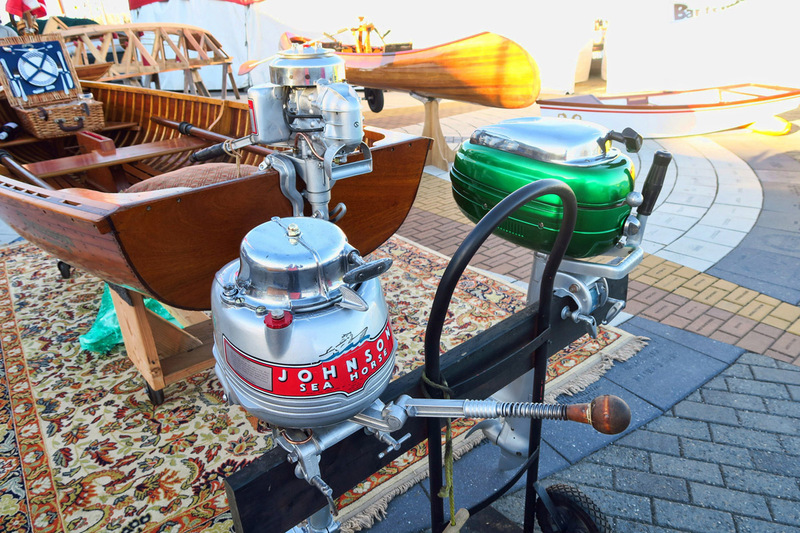 I stumbled upon the festival a number of years ago and admired the boats but had no idea there were so many educational things going on. We’re on North Whidbey Island near Deception Pass for the next 3 weeks if you might be interested in a meet up for dinner or…? Thanks, Ed. Deception Pass is about the most beautiful spot I remember from my time here in 2014. Hope you are enjoying it. I am not sure which direction I will head from here, but if I end up on the ferry, I’ll give you a shout. They are all marvelous and such a passionate work of art. Thanks for this post Suzanne. 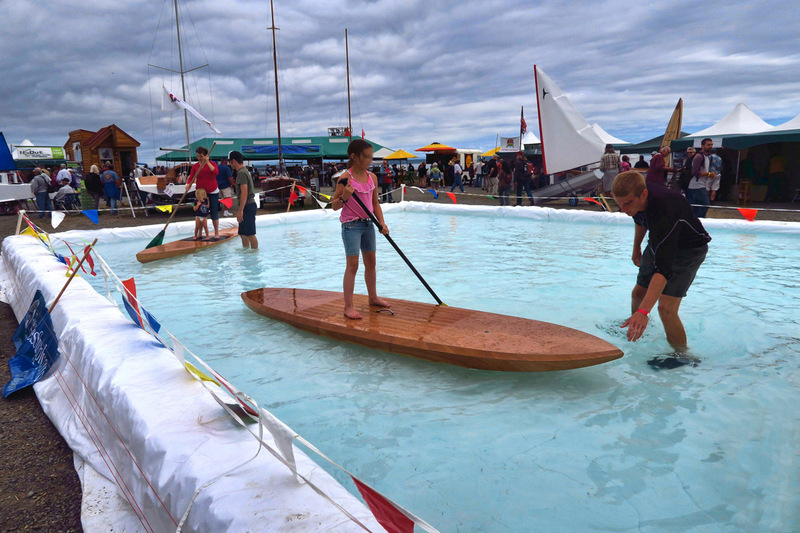 Terry and I both agreed that we would love to go back and see this festival,and if we lived in the area, Terry would love to tackle building a wooden kayak.